With performances described as “full of sharp intensity” (Town Topics, Princeton) and “comforting and consoling” (The Herald Scotland), Emilia Morton has growing commitments on the solo platform both in the UK and abroad. Growing up in a musical family, Emilia was a chorister at both Salisbury and Wells Cathedrals. 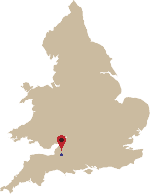 A Specialist Music Scholarship at Wells Cathedral School further helped to nurture a passion for solo singing and whilst at the school she was able to perform the solos in such works as Haydn’s Nelson Mass, Purcell’s Ode for the Birthday of Queen Anne and Monteverdi’s Vespers in and around Wells. Emilia took a Choral Scholarship to Clare College, Cambridge and whilst studying for the music degree performed solos in concert and on the opera stage including Bach’s Mass in B minor in King’s College Chapel and Belinda in Purcell’s Dido and Aeneas. 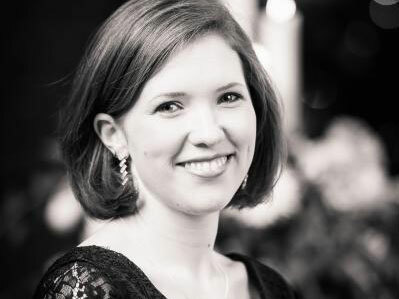 Since her studies Emilia has been singing professionally both on the solo platform and with a number of London’s most prestigious choirs including The Monteverdi Choir, The Sixteen, The Gabrieli Consort and Tenebrae Choir. For Sir John Eliot Gardiner she has performed as a soloist in Schutz’s Musikalisches Exequien and Handel’s Israel in Egypt and most recently in Handel’s Dixit Dominus at Buckingham Palace in the presence of His Royal Highness, the Prince of Wales and in Princeton University, USA. Over the past few years Emilia has returned to Cambridge to perform Bach Cantatas with St John’s College Choir and members of the Orchestra of the Age of Enlightenment and more recently, a pre-dinner recital for benefactors at Clare College. Emilia also returns to Salisbury frequently as a soloist and most recently in Bach’s St John Passion and Handel’s Messiah for the final concert of the Southern Cathedral’s Festival.